Distell’s Nederburg is one of the largest premium wineries in South Africa which has been making wine since 1791. 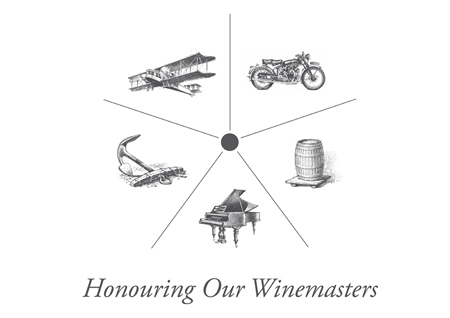 They also run the annual Nederburg auction, one of the world’s five major wine auctions, since 1975. Therefore, I am a little puzzled why we don’t see more Nederburg wine in Hong Kong (only a few SKUs of two lines are available here). Hopefully, we don’t need to wait for too long now. Nederburg’s new cellar master Andrea Freeborough, during her first Asian market visit recently, said they are planning (finally) to introduce their iconic wines, Manor House and Heritage Heroes, to Hong Kong. Although Andrea is the new cellar master, she was not new to Nederburg. 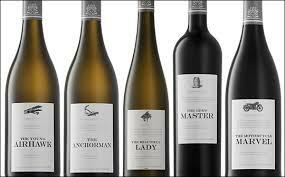 She was the white winemaker at Nederburg under then cellar master Razvan Macici in 2000, before being transferred to head Die Bergkelder, another wine brand of Distell, for 10 years. 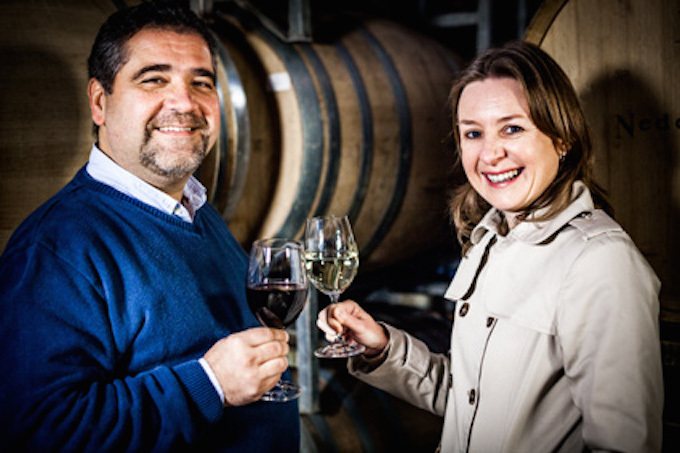 In 2015, she returned to Nederburg and took over from Razvan, who has been promoted to cellar master of Distell group. We chatted with Andrea over a casual but absolutely delicious dinner. Over the conversation, I could see that Andrea is focused and disciplined. She decided to become a vinegrower at the age of 14 after seeing a photograph of a vineyard in a magazine. In subsequent holiday in Stellenbosch, she visited the university and cemented her career path, a decision that she never looked back. Nederburg may be big, but Andreas said the team is like a family and she was glad to go full circle back to Nederburg, where there are still familiar faces from 10 years ago. She is also proud of the innovative attitude of the team. 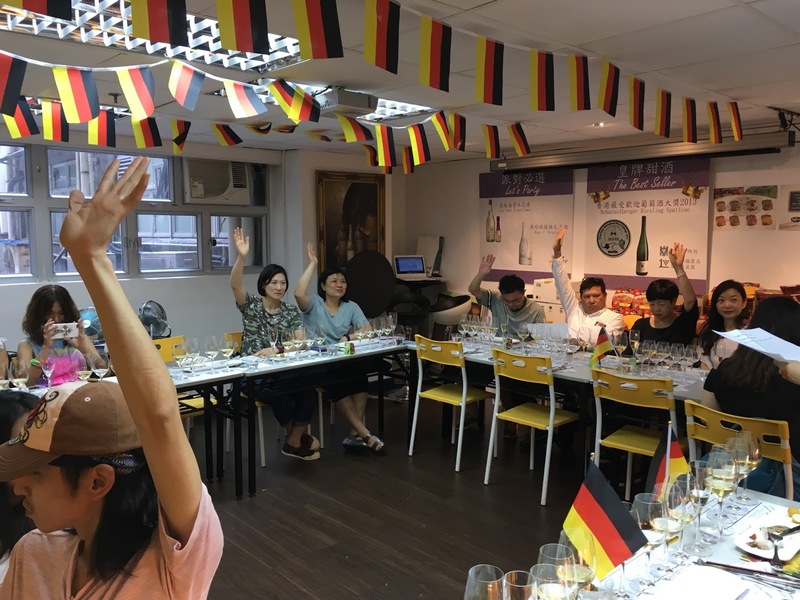 A new wine has to be agreed by the marketing department before it could be commercially produced, but her marketing colleagues are often open-minded and always support them. I am looking forward to tasting new Nederburg wine created by Andreas some time in future. The Anchorman: a wooded Chenin Blanc that was named after Philippus Wolvaart, founder of Nederburg. The wine was partially fermented in stainless steel, barrels and old large vats, as well as a portion using carbonic maceration (have to say not a common practice) to add the freshness. It is versatile and went well with both the appetisers and the steak. The Brew Master: a Bordeaux blend after Johann Graue, who bought Nederburg in 1937 and was the one to have introduced cold fermentation techniques, thanks to his experience working in a beer brewery in Germany. The wine is classic, complex and well-integrated with a good ageing potential. The Young Airhawk: a wooded Sauvignon Blanc in remembrance of Arnold Graue, Johann’s son who was a talented winemaker supposed to succeeded his father but sadly died in a light aircraft crash at only 29. The wine is a classic Old-New World wine with ripe fruits yet restrained and elegant. The Motorcycle Marvel: an intense and rich Rhone style blend to celebrate the legacy of cellar master Günter Brőzel until 1989, who created the first South African noble late harvest wine, Edelkeur, in 1975. The Beautiful Lady: We didn’t try this one, a Gewürztraminer in memory of Ilse Graue, the wife of Johann, and mother of Arnold. But while waiting for the Heritage Heroes line to land in Hong Kong, try Nederburg’s Ingenuity in the meantime, a truly innovative range that allows winemakers to create new blends. Its white is a blend of eight varieties while its Italian blend is a of Sangiovese, Barbera and Nebbiolo. Ingenuity is available from Watson’s Wine. When mention wine and food, most consumers would think of wine and food pairing dinners in formal, and often western restaurants. While the menus are delicious, the settings could deter some wine lovers. The emphasis on these wine pairing dinners also mislead some consumers to think that wine should only be drunk with elaborate meals. This is against my philosophy that wine is a lifestyle beverage that could be enjoyed in both casual and formal environments and shared with friends. 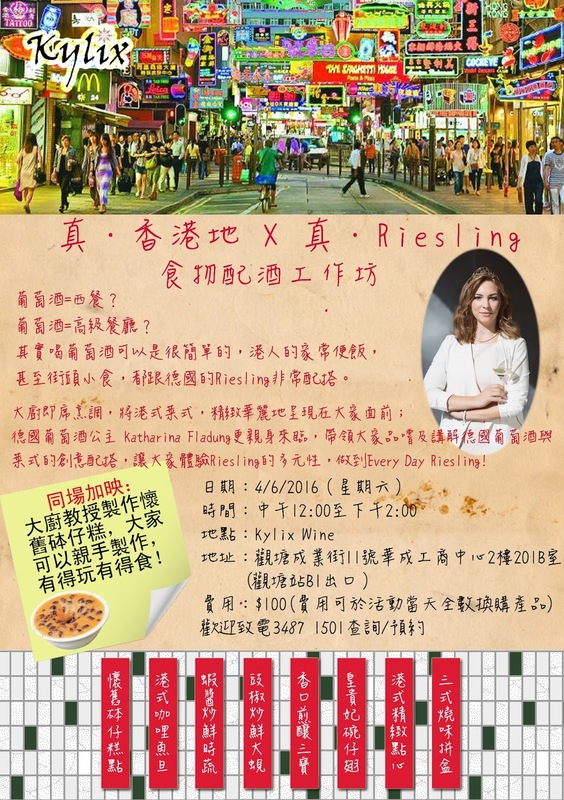 Therefore, when Yuki from Kylix suggested matching typical Hong Kong snacks with German Riesling, I immediately jumped to the idea. included Hong Kong style roasted pork belly and barbecued pork, dum sum, three stuffed treasures (煎釀三寶), curry fish balls, clams in spicy and black bean sauce, and red bean pudding (砵仔糕). Roasted pork belly fared well with the Trocken while Kabinett was the best match with dim sum. 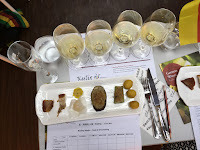 Spatlese stood up to the stronger flavoured honey barbecued pork and three stuffed treasures; and the majority, including Katharina, concluded that the Auslese was perfect with curry fish balls and the spicy clams. The best part of this exercise was demystifying conventional food and wine pairing. Most guests admitted that it was the choice of food that attracted them to join. Hopefully, this experience would inspire them to have wine with their everyday dinner. Dedicated wine lovers have wines whenever they eat and would BYO to local eateries. However, we need more mid-market Asian restaurants to serve wine in order to turn wine into a mainstream beverage. I still would love to persuade our fast food chains to serve a glass of wine with their personalised dinners, and Chinese restaurants to serve weekend dim sum brunch, not with tea but with a Riesling Kabinett - a perfect breakfast wine with dim sum.